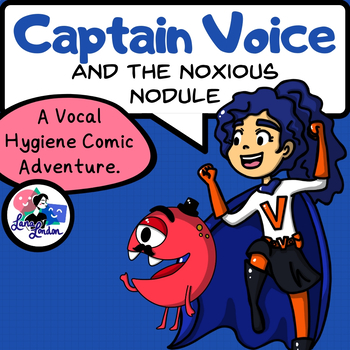 Read how Captain Voice teaches you to use your Super Voice Powers to defeat 'The Nodule'. 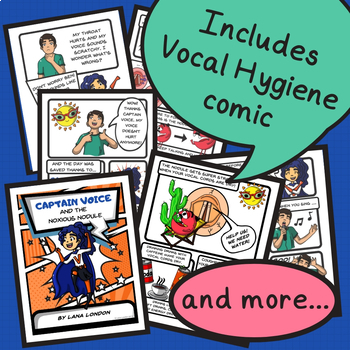 An engaging way to teach what voice is, how vocal nodules form, and vocal hygiene strategies to children. This comic book and additional activities makes voice therapy visual and exciting. Created for speech and language pathologists as an adjunct to voice therapy. Black and white versions included and are great for coloring in! 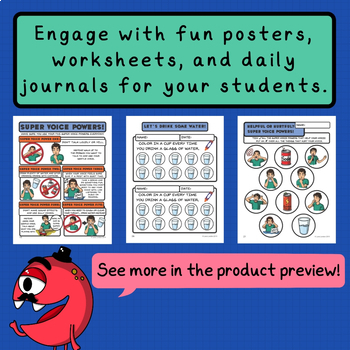 Earn TpT credits you can use towards purchasing more TpT resources by providing feedback. I would love to hear what you think!